In this part of crochet flower tutorial 62 we continue to crochet the large flower. After we made a center we begin to crochet large petals. 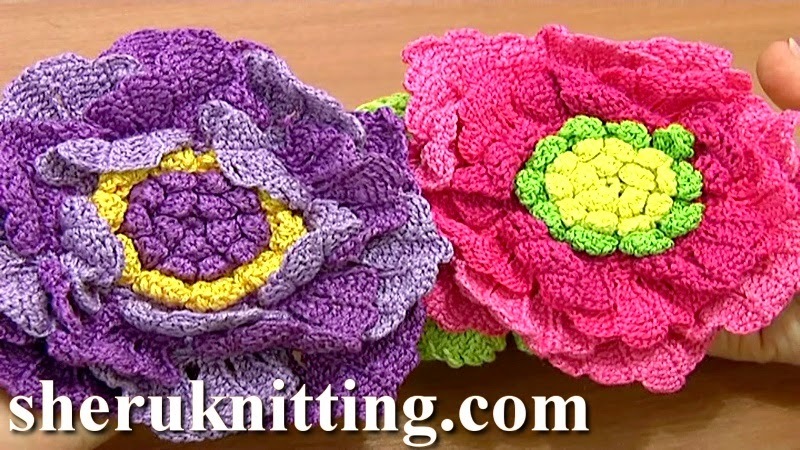 In this tutorial we crochet 2 layers of large petals using for each layer a different color of yarn. All large petals worked in rows. The petals on the next layer from the center consist of 4 segments and the petals on the next layer -- of 5 segments. After you complet the round of second large petals you can stop the work. But we will continue the work in the next part 3 of the same tutorial. Thanks for watching!